Global plastics pollution has been created in one generation and, with system-wide accountability, can be solved in one generation. 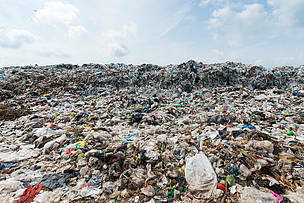 GLAND, Switzerland (5 March 2019) – The global plastics pollution crisis will only worsen unless all actors across the plastics value chain are made more accountable for the true cost of plastics to nature and people, warns a WWF report published today. The new study, Solving Plastic Pollution Through Accountability, finds that too much responsibility for reducing plastics pollution is currently focused on consumers and waste management and efforts will remain insufficient unless action is taken across the entire value chain. The report, released ahead of a key United Nations Environment Assembly (UNEA) meeting in Nairobi next week, warns that an additional 104 million metric tons of plastic is at risk of leakage to our ecosystems by 2030 without a drastic change in approach. The leakage caused by this broken system is having devastating effects on wildlife and ecosystems. More than 270 species have been documented as having been harmed by entanglement, while more than 240 species have been found to have ingested plastics. Every year humans and animals continue to ingest plastics from food and drinking water, with the full effects still unknown. According to the report, under a business as usual scenario, the overall CO2 emissions from the plastic life cycle are expected to increase by 50%, while the CO2 increase from plastic incineration is set to triple by 2030, due to wrong waste management choices. "Our existing method of producing, using and disposing of plastic is fundamentally broken. It's a system lacking in accountability, and currently operates in a way which practically guarantees that ever-increasing volumes of plastic will leak into nature," said Marco Lambertini, Director General of WWF-International. The UNEA meeting, which takes place from 11-15 March, will see world leaders confronted with plastics pollution as a major environmental issue. At this meeting, WWF is urging governments to start negotiating a legally binding international treaty on marine plastics pollution. This treaty would establish national targets and transparent reporting mechanisms that extend to companies. Additionally, it should provide financial and technical support for low income countries. Solving Plastic Pollution Through Accountability also calls for measures to reinforce existing initiatives, such as eliminating problematic single use plastics, upgrading national waste management plans and reaching 100% collection rates. On Monday 11 February, WWF launched a global petition calling for legally binding deal on marine plastics pollution, which has so far attracted 250,000 signatures.